This book deals with some of the questions that have taxed the minds of scientists and philosophers for centuries - the origin of the Universe, the origin of the earth, the origin of life, the origin of species and the origin of humans. In What About Origins? the author demonstrates that the evolutionary explanations that are put forward to try to explain origins are invariably weak and are unsupported by the scientific data. 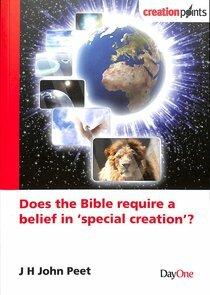 The author shows that the ultimate answers to the questions of origins are to be found only in the Bible. It is in the Bible that we discover the answers not only about who is responsible, but also the methods employed, when everything originated and also, importantly, why. The author also explains how rocks are dated and shows that there are valid scientific reasons for believing that we are living on a young earth.